Each woman who considers breast cosmetic surgery for enhancement, augmentation, revision and reconstructive surgery or reduction is unique with her own personal goals and her desired aesthetic approach. A diverse group of women choose breast cosmetic surgery many of these women desire a more proportional figure, which can be achieved by restoring or reshaping the look of their breasts. Whether before or after child birth and breast feeding, or after significant weight loss women often choose cosmetic surgery for the breasts to match their outer appearance with positive ways they feel on the inside. Body Sculpturing is a super fine artistic specialised cosmetic surgery in the armamentarium of Cosmetic Surgeon. Cosmetic Surgery is part of Plastic surgery. For whom does the Body Sculpturing Cosmetic surgery is required ? Both for male and female of any age wherever the parts of the body needs soft tissue reshaping, body sculpturing cosmetic surgery is indicated. When an individual feels that his or her abdomen body sculpturing cosmetic surgery is indicated. When an individual feels that his or her abdomen is protruding because of excess flab, body sculpturing cosmetic surgery is useful to reshape the abdomen. It is an advanced form of ultra high definition liposuction using fine 2mm and 3 mm zirconium coated cell friendly cannulas , which sculptures the body soft tissue parts precisely. Cosmetic Surgeon is aided by the precise imaging using low dose CAT scan , MRI scan to delineate the various septae and precise nature of soft tissue excess and PET scan to know the functional fat [identification of brown fat). When Cosmetic surgeon aspirates the excessive fat from the unwanted accumulated areas the same fat is used to reshape the areas where there is a contour deficiency by means of structural fat grafting, a form of lipotransfer. For example if a lady undergoes cosmetic surgery body sculpturing for correction of her abdominal flab the same fat can be used to augment her breasts by this autologous tissue. Whether the cosmetic surgery – body sculpturing is useful for other body parts where the soft tissue needs reshaping? Yes. Let us say for a person with double chin reshaping the chin and using the same fat to augment his cheeks to give a more beautiful look. Excessive fat aspirated from the abdomen can be used to augment the buttocks or calf areas to give an elegant look. Reduction breast sizes both for males and females is very major part of body sculpturing , and this form of pinhole surgery is one among the many options of cosmetic surgical procedures. Cosmetic surgery for breasts is meant for whom? COSMETIC SURGERY for the breasts is meant for both male and females. In women of any age group those who have shoulder pain, Bra strap strain and back ache due to large size of breasts need reduction mammoplasty. One of the methods to reduce the size of breasts is pin hole cosmetic surgery. In men of any age group pin hole cosmetic surgery of male breasts reduce the abnormal size. For women of any age group the size of the breasts can be enhanced to suit the image of the person. Pin hole cosmetic surgery by which structural fat grafting and fat transfer is done to enhance the size of the breasts. Is breast reshaping is a part of pre-pregnancy look? Yes! Cosmetic surgery-Body sculpturing, breast reshaping, tummy tuck and rejuvenation of parts called as pre-pregnancy look cosmetic surgery. Pin hole surgery- scar-less breast surgery both in male and female. Cosmetic surgery: modern instruments of fine 2mm and 3mm cannulas, especially zirconium-coated cell-friendly cannulas, cause less damage to the soft tissue, provide good protection for the new vascular bundles, and enable a cosmetic surgeon to perform pin-hole surgery and scar-less breast reduction both in male and female. BEAUTY: "Breast aesthetic augmentation by autologous tissue" is refined procedure by utilization of such fine instrumentation's as mentioned above. Scar-less breast augmentation and breast reduction are carried out regularly at the KMCH cosmetic Surgery Department. The cosmetic surgery department at Kovai Medical Center and Hospital (KMCH), Coimbatore, provides painless surgery to make you feel rejuvenated and confident. The hospital has various state-of-the-art and ultra high-definition techniques/surgeries to ensure that your body can be enhanced — using such a scientific approach that you can resume normal life in no time, with an air of confidence in your gait. We do body sculpturing (ultra high-definition liposuction), fix irregularities in the abdomen, thighs and arm areas, provide vaginal and genital rejuvenation, perform scar-less cosmetic surgery for resizing of breasts and help women reclaim their pre-pregnancy look through lipoplasty, tummy tuck, breast reshaping and genital rejuvenation. The pin-hole surgery technique that is used for weight reduction is done with extreme accuracy. People who opt for surgery usually do so because it gives them an increased sense of confidence and an enhanced self image. We have people of all age groups and of both sexes coming in for enhancement or excess skin removal, as the procedure gives them a better self-image. 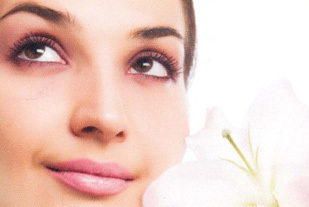 People are also opting for rhinoplasty, a cosmetic surgery procedure for correcting and reconstructing the form, restoring the functions and aesthetically enhancing the nose. There are instances of couples coming in to reclaim the woman's pre-pregnancy look, and their body is re-sculptured according to their requirements. Another interesting point to note here is that close to 50 per cent of the people coming in for cosmetic surgical enhancement are males over females. The hospital has a motto of being ethical and the cosmetic surgeries are performed with the total consent of the patients.